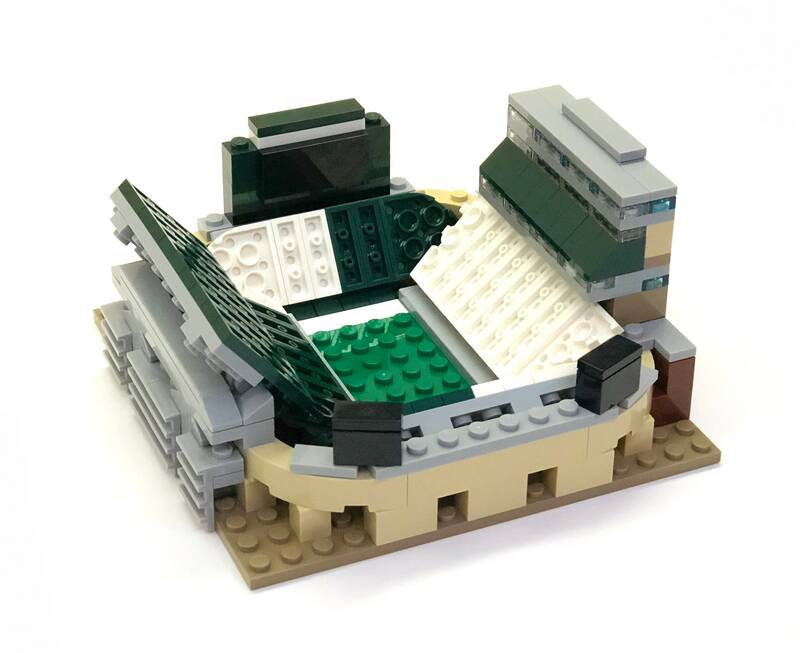 A Mini Spartan Stadium Custom LEGO set that is the perfect gift for the MSU fan in your life! A truly unique gift for the Spartan or LEGO fan young or old! Great display piece and conversation starter! >>In Stock and Ready to Ship Next Business Day! You will get an email with USPS tracking info once it ships. These sets ship securely in a white, sturdy, corrugated cardboard BLOCK Stadiums mailer box. The box will then be sealed in a white poly mailer bag to protect your set and the printed color instructions from the elements during transit and delivery. About Me: ﻿ Matthew Jenkins, Married, Dad of 3 girls, lives in Dublin, Ohio and is back into LEGO big time.. WARNING: CHOKING HAZARD- Small parts. Not for children under 3 years. DISCLAIMER: This is not a LEGO® Product. These are new LEGO elements that have been repackaged and kitted into a Custom Set. LEGO is a trademark of the LEGO Group, which does not sponsor, authorize or endorse this product. The LEGO Group and Custom Block Stadiums are not liable for any loss, injury or damage arising from the use or misuse of this product. This is super cute and comes with a beautifully illustrated instruction booklet. I hope my nephew is just as excited when he opens it on Christmas. Thank you! Hubby loved his set Christmas morning! Awesome OSU helmet- perfect for the Buckeye fan who has everything! Wonderful gift! A big hit this Christmas!